Just wanted to introduce myself, I am Daylan McNamara, I finally came over from the dark side. 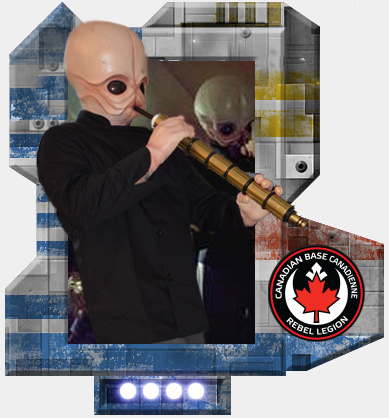 I have an approved Bith Musician and I am in Halifax Nova Scotia, I hope to troop with many of you some day! Sorry for missing your application and not doing more of a formal welcome! Congrats on having your Figrin D'an costume approved! I totally forgot to respond! Oops!